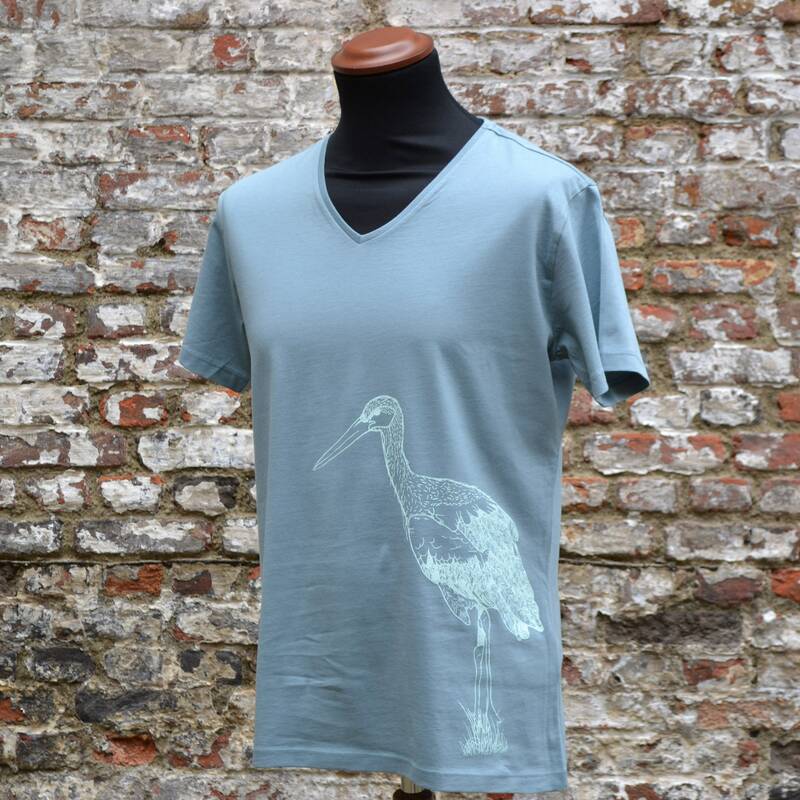 Mens T-shirt with Stork print - Light Blue - eco friendly menswear - organic fair trade mens T-shirt. 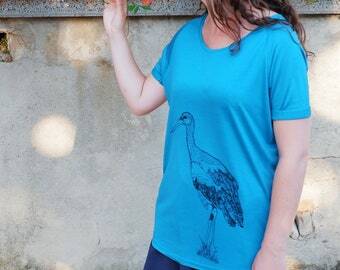 Do you love storks, wildlife, animals, nature,... or do you just love a cool print on your T-shirt, then this will be the perfect gift for you. 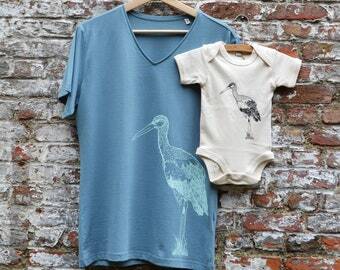 This stork illustration is a digital drawing. 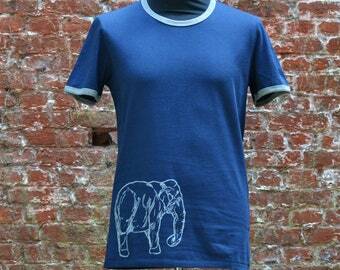 Medium fitted light blue T-shirt with V neck. 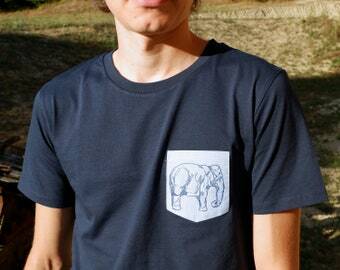 100% soft organic cotton. 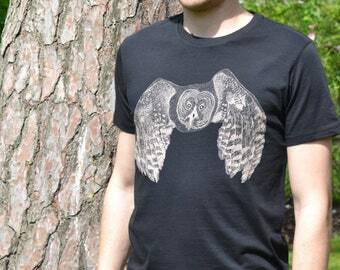 The owl illustration has been screen printed with water based ink. 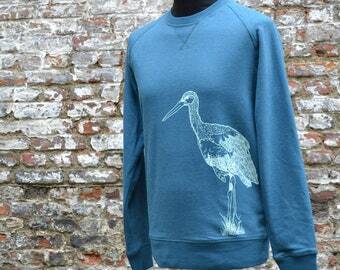 For this illustration I was inspired by the storks that we see when we go for a walk outside of the city. 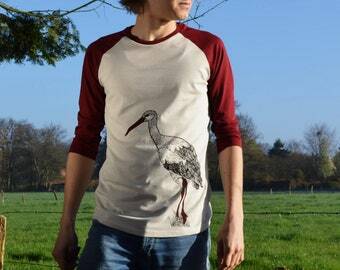 There is a zoo nearby where a lot of storks live, they love to visit the fields around our city. 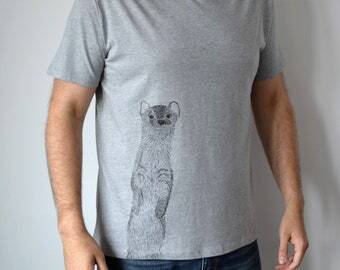 This T-shirt is ideal for a proud father. 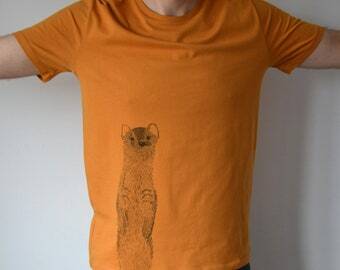 You can also wear it to say 'We're pregnant' or 'I just became a dad!' in a very subtile way.